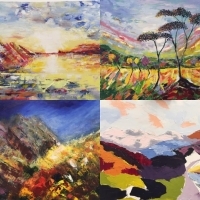 Exhibition space, exhibiting; painting, sculpture, photoghraphy, book art & textiles. This studio is also available for hire by the hour for talks and workshops. LightSpace Studio is available for hire at the rate of £35 an hour or £200 for the day. The party consists of one & half hours of supervised painting activity, followed by a party lunjch & finishing off with lots of fun & games. 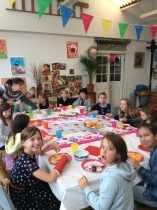 Party C: Painting activity with party lunch followed by games, music, and prizes - 2&1/2 hours - price £250 based on 10 children (£15 per head thereafter).